We’re back from the Samsung Galaxy S8 and Galaxy S8+ launch event and boy did we spend some time with each phone. The event had plenty of phones for everyone to take for a spin, so that’s what you’ll get here in this first look and tour video. We will have some deeper first impressions and thoughts later on, but I will say that the phones are quite surprising in hand. I say “surprising” because with their extra large displays, they do not in any way feel extra large. If anything, they feel like ultra-premium slim packages that might wow your mind with those Infinity AMOLED panels. 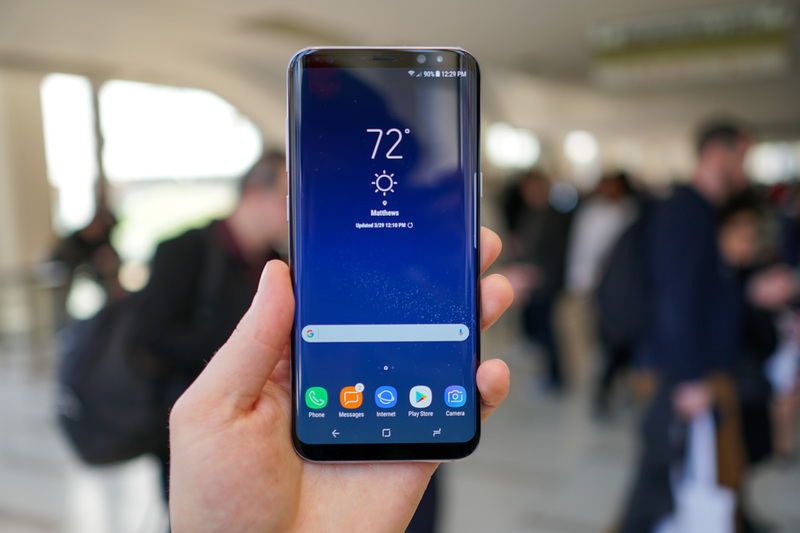 Anyways, in the clip below, you’ll see both the S8 and S8+, a quick look at the new Samsung software experience, Bixby, and a really obnoxious new take on Samsung’s famed ringtone song in the background at ear-bleeding levels.